The ability to give life to identical organisms, called clonation, has always fascinated scientists from all over the world. The first experiments on what ultimately became clonation were performed by Hans Spemann in 1936. To begin with they tried to understand whether the nucleus of differentiated cells in adult organisms still contained the same genes that they had in the fertilized egg before developing specifically into muscle, nerve or skin cells. In other words, they wanted to know if the nucleus of a differentiated cell still had the ability to produce any of the different kinds of cells that make up an adult organism (this ability is called totipotence) just like the first cell of an organism (zygote) can do. Spemann and other scientists such as Gurdon had noticed that as a living organism developed, their totipotence progressively decreases. Gurdon transplanted the nuclei of frog skin cells into ovocites without nucleus of the same species, and managed to spawn tadpoles. This proved that after all the nucleus of an adult cell could be reprogrammed to reproduce any kind of cell of an organism. When this was attempted with the cell of a mammal they discovered that after multiplying a few times, the embryo would die. Thus scientists found out that adult mammal cell nuclei could not be reprogrammed to produce any kind of cell and therefore mammal clonation was not possible. This was until 1997 when they found another way to do it. In zootechnics clonation was done stating from embryo cells with the “embryo splitting” method. In fact it is possible to separate blastomeres from mammal embryos right before they are ready to be implanted in the uterus and insert them in emptied pellucid areas thus increasing the number of embryos obtained. Subsequently they discovered that this method worked also with embryo and fetal cells that were transplanted into enucleated ovocites (without nucleus). 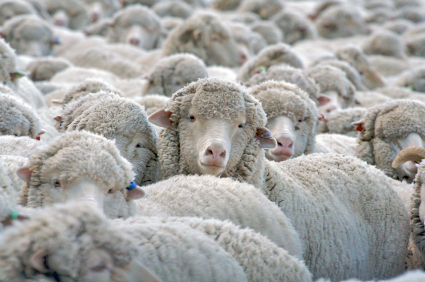 Dolly the sheep debunked the theory that a mammal could not be cloned from adult cells. The scientists who created this sheep took some cells from the mammary gland of a pregnant white sheep. They placed them in a petri dish and stopped them from dividing. These cells were then injected in the space under the pellucid area of enucleated ovocites taken from black faced sheep. Thanks to an electric stimulation the cell fused with the ovocite and the embryo started dividing and developing. Dolly was born out of about 300 embryos. She was a perfectly normal sheep which in turn gave birth to three lambs. Clonation will be useful to improve transgenic animal production which will be useful for several purposes. Dolly for instance had been cloned from bovine fibroblast nuclei where a human IX factor coagulation gene had been inserted which is then produced in large quantities in her milk and can be used to treat people suffering from type B haeomophilia. Thanks to clonation, it will be possible to insert genes that are responsible for different genetic diseases in man so these animals will be used as guinea pigs to study these diseases hoping to find a cure for them. Maybe one day, with pig cells we will be able to eliminate the antigens that are responsible for rejection of these animals’ organs when they are transplanted in man.